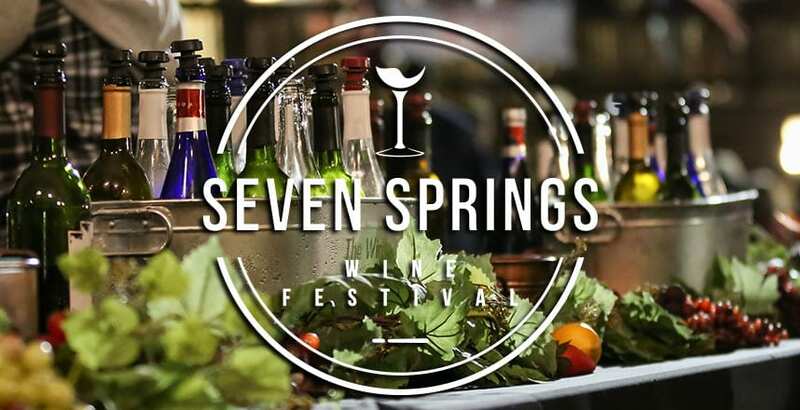 The Seven Springs Wine Festival, August 23 through 25, 2019, showcases wineries from all over Pennsylvania offering a tantalizing experience for anyone who loves wine. The festival features complimentary wine sampling from 30 wineries, daily seminars, a variety of crafts, and musical entertainment. Each day of the festival enjoy samples from up to 30 Pennsylvania wineries, a souvenir Wine Festival glass, daily seminars and Wine Check service! Wine Festival Friday, August 23, 2019 | 5 – 9 p.m.
Wine Festival Saturday, August 24, 2019 | 11 a.m. – 5 p.m.
Wine Festival Sunday, August 25, 2019 | 11 a.m. – 5 p.m. Learn about various wines, how to pair them with food, and different cooking techniques using wine. Attendance to seminars is limited to ensure a quality guest experience. Tickets to seminars are available at the the Timberstone Room one-hour before each seminar. Valid seminar tickets must be presented for entry to a seminar. Please be on time. Late entry will not be granted to any seminar. Check back soon for a full schedule of seminars! Starting at $284 per person based on double occupancy. Blackout dates may apply. Price does not include tax. Hotel rates are per person. Price subject to change and availability. Package cannot be combined with any additional discounts, coupons or offers. Restrictions apply. This package is for adults age 21 and over. Adults age 21 and older will be required to show a valid state issued ID at the festival entrance to obtain a legal to drink wristband. To review our House Policies for alcohol service, please click here. No one under age 21 will be permitted inside festival grounds. As a precautionary measure, children (including infants and minors) and pets are not permitted on festival grounds. Thank you in advance for your cooperation.